Although the original world was created perfect and without death, our fallen world requires creatures to adapt to difficult situations in order to survive. 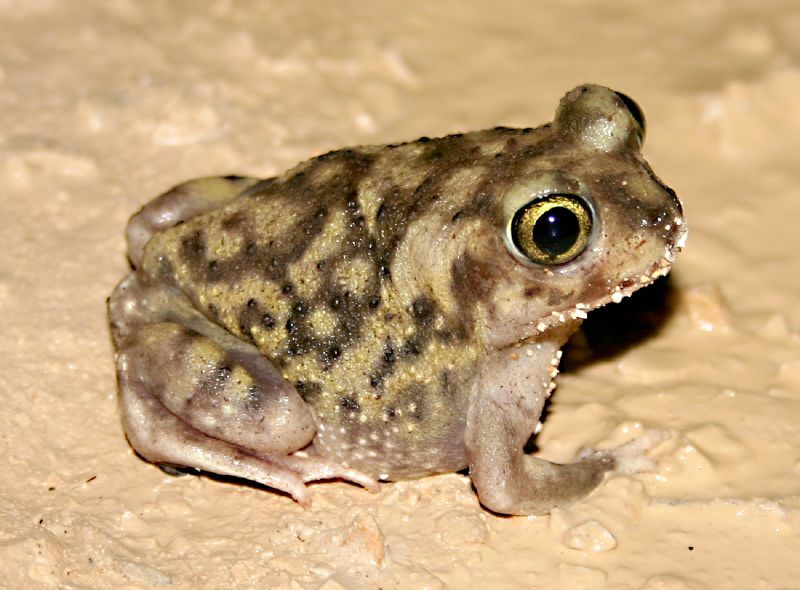 Even in the current world full of death and competition, the smallest of creatures exhibit amazing capabilities for survival in harsh environments. The female snowshoe rabbit is one such creature. During extreme drought or harsh winters, the stress of finding food triggers a chemical process in the pregnant female that stops and embryo’s growth. Her body then responds to this condition of physical weakness with a process called resorption. In this process, the mother completely reabsorbs the growing embryo. This mechanism allows the rabbit to survive by replenishing her own strength. She can later become pregnant during more favorable conditions. The number of chemical and physical changes required for a rabbit to reverse a pregnancy is mind-boggling. There is no scientific evidence which explains how this remarkable resorption process could have evolved. The creativity of God to have provided for the common rabbit in this way is truly amazing! Posted in Birds. Tagged A Closer Look at the Evidence, Biology, Christian, Creation, Plus, Richard and Tina Kleiss, Snowshoe Rabbit, When I Consider! 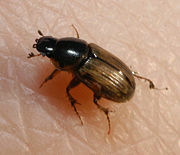 There is an amazing relationship between certain types of elephant ear and the scarab beetle. 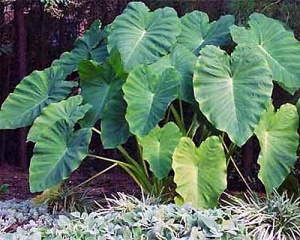 It has only been recently learned that many elephant ear plants depend completely on the scarab beetle for pollination. Elephant ears make a flower stalk, called a spadix, which has three different kinds of flowers: male, female, and sterile. The beetles are drawn to help in the pollination process of crawling around on the spadix to get to the sterile flowers, which they love to eat. In the process of crawling around on the spadix to get to the sterile flowers, the beetles also pick up pollen from the male flowers and pollinate the female flowers. It is amazing that none of the male or female flowers are ever eaten though they look exactly like the sterile flowers! The plant has produced a sacrificial look-alike in order to attract a specific pollinating insect which has no interest in its productive flowers. How could the plant have known to do this? Why would it ever produce a flower useless except for the actions of another creature? This miraculous interdependency had to have been specifically designed. More “When I Consider!” articles. Posted in Birds. Tagged A Closer Look at the Evidence, Biology, Creation, Elephant Ears, Plus, Richard and Tina Kleiss, Scarab Beetle, When I Consider! This is the first in a new series called, “When I Consider! Please see the article, “A Closer Look at the Evidence – Kleiss“, by Richard and Tina Kleiss, for an explanation of this new series. Not only will I use information from the Kleiss’ book, but other articles also. Since our main blog is about Bird’s, this seems like a good starting place. The eagle’s diving speed can exceed 100 miles per hour. At this speed, the eagle’s eyesight must be perfect in order to know exactly when to pull out of a dive. It’s eyes are designed to spot a rabbit or fish up to one mile away. The eagle also has remarkably designed wings, each covered by over 12,000 feathers. Aircraft designers are still trying to copy this engineering marvel. Besides the ability to climb to 10,000 feet withing minutes, the parent eagle also assists its young in flight. As it flies alongside the eaglet, whirlpools of air formed by its primary feathers provide the eaglet with additional lift. In speaking of His protective care over the nation of Israel, God states, ‘..I bare you on eagle’s wings…’ (Exodus 19:4 KJV). The Hebrew word for ‘bare’ is nacah, and its primary rood means ‘to lift.’ This is exactly what the parent eagle does to help its young in flight. The precise selection and meaning of words used in the Bible is a testimony to the accuracy and precision of the remarkable book. (4) What is man that You are mindful of him, And the son of man that You visit him? (5) For You have made him a little lower than the angels, And You have crowned him with glory and honor. (8) The birds of the air, And the fish of the sea That pass through the paths of the seas. (9) O LORD, our Lord, How excellent is Your name in all the earth! Posted in Birds. Tagged A Closer Look at the Evidence, Biology, Birds, Birds of the Bible, Creation, Eagle, Eyesight, Speed, When I Consider!